Study shows that peer review of grant applications at the SNSF may be prone to biases stemming from different applicant and reviewer characteristics. Based on this study, the SNSF abandoned nomination of reviewers by applicants, and made members of panels aware of the other systematic differences in scores. The 2010 reform of the Italian university system introduced the National Scientific Habilitation (ASN) as a requirement for applying to permanent professor positions. Since the CVs of the 59149 candidates and the results of their assessments have been made publicly available, the ASN constitutes an opportunity to perform analyses about a nation-wide evaluation process. The changing world of scholarly communication and the emergence of 'Open Science' or 'Open Research' has brought to light a number of controversial and hotly-debated topics. Yet, evidence-based rational debate is regularly drowned out by misinformed or exaggerated rhetoric, which does not benefit the evolving system of scholarly communication. Despite growing awareness of predatory publishing and research on its market characteristics, the defining attributes of fraudulent journals remain controversial. The authors aimed to develop a better understanding of quality criteria for scholarly journals by analysing journals and publishers indexed in blacklists of predatory journals and whitelists of legitimate journals and the lists’ inclusion criteria. A perspective from an interdisciplinary group of early career researchers on the value of preprints, advocating the wide adoption of preprints to advance knowledge and facilitate career development. Ethical, organizational and economic strengths and weaknesses of funder open access platforms: opportunities and threats presented by funder open access platforms in the ongoing transition to open access. P-values and significance testing have come under increasing scrutiny in scientific research. How accurate are these methods for indicating whether a hypothesis is valid? Rather than focusing our study reports on uncertain conclusions, we should thus focus on describing accurately how the study was conducted, what problems occurred, and what analysis methods were used. 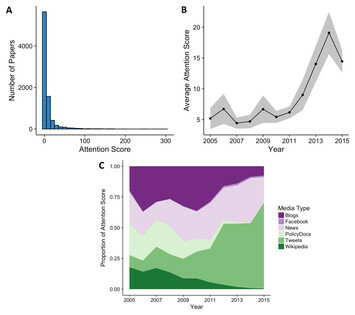 In recent years, increasing media exposure (measured by Altmetrics) did not relate to the equivalent citations as in earlier years; signaling a diminishing return on investment. New axes of stratification are emerging in academic publishing, adding to the already complex tapestry of inequality in science. Authors working at lower-ranked universities are more likely to publish in closed/paywalled outlets, and less likely to choose outlets that involve some sort of Article Processing Charge (APCs; gold or hybrid OA). At least 28% of the scholarly literature is OA and that this proportion is growing, driven particularly by growth in Gold and Hybrid. Also, OA articles receive 18% more citations than average, an effect driven primarily by Green and Hybrid OA. 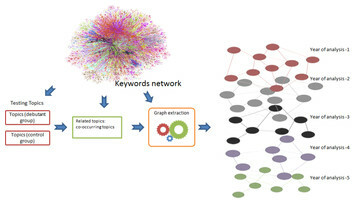 Using newly available open access status data, year-on-year open access levels are explored across research fields, languages, countries, institutions, funders and topics, and the resulting patterns are related to disciplinary, national and institutional contexts. For science to progress, we have to accept the inevitability of error. 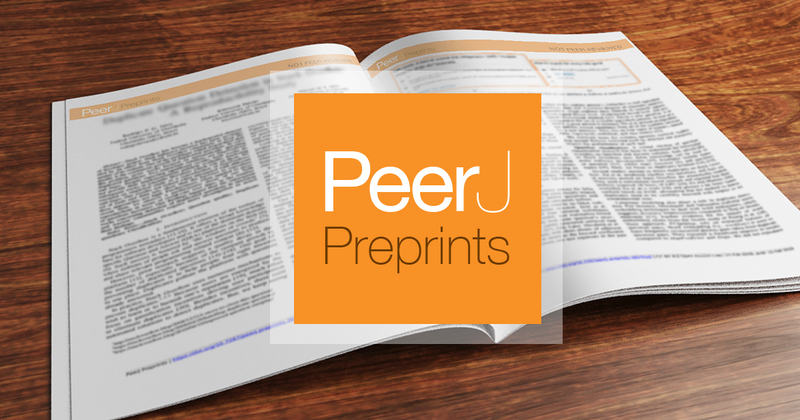 PeerJ preprints that have grabbed the attention of the masses. ReScience resides on GitHub where each new implementation of a computational study is made available together with comments, explanations, and software tests. Comments on "Redefine statistical significance"
Why is is needed and how it can be achieved easily and cheaply. Considerations of open access models that can work across disciplines. The case of ELife, PLoS, and BioOne. Ideas and data can interact, and our work can certainly benefit from the bad ideas that, in the short-term, do not seem to directly benefit discovery. We describe curation projects as a new category of GitHub project that collects, evaluates, and preserves resources for software developers. Understanding the potential effects of requiring that grantees publish their peer-reviewed research in open access journals. The future of data science education in a data democratized world. Guidelines for active and efficient data sharing between those generating data and those analyzing it. Understanding the research dynamics preceding the emergence of new areas. Sci-Hub's contains 68.9% of all 81.6 million scholarly articles, which rises to 85.2% for those published in closed access journals and 77.0% of the 5.2 million articles published by inactive journals. What Actions Can We Take to Push for Publishing Reform and Incentivise Open Publishing Practices? BulliedIntoBadScience.org for early career researchers who aim for a fairer, more open and ethical research and publication environment.